Check your rearview mirror next time you’re on the road and you might see one of Ford’s new F-150 or Expedition police cars. The Blue Oval released first images of their two newest models donning the black and white attire, and both with high-strength aluminum-alloy bodies. 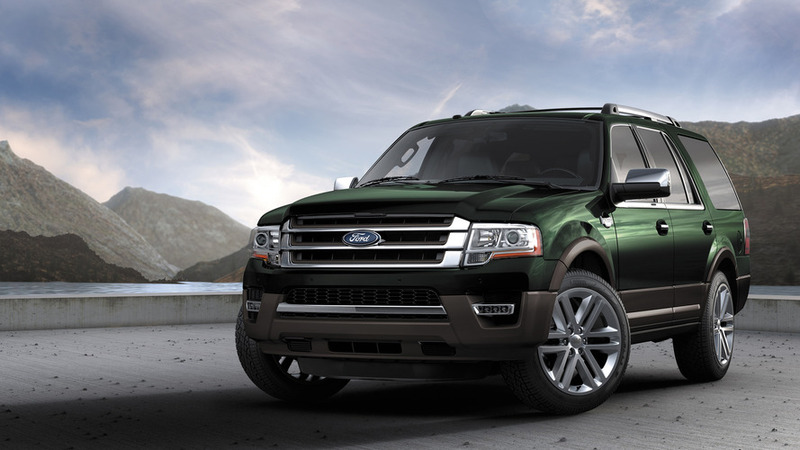 Both the F-150 SSV and the Expedition SSV come with a second-generation 3.5-liter EcoBoost engine, while the F-150 can be optioned with a 5.0-liter V8. A 10-speed automatic comes standard on both engines, as does an auto stop-start feature to help improve fuel economy. The F-150 can be optioned in XL trim for F-150 SuperCrew or SuperCab configuration, with both 4x2 and 4x4 options available. The standard 40/20/40 seat layout in the Expedition has been replaced with a 40/blank/40 configuration. The center seating section has been ripped out to add even more space and optional equipment to the rear of the cab. A vinyl bench also replaces the rear seats, while a vinyl floor replaces the carpet. 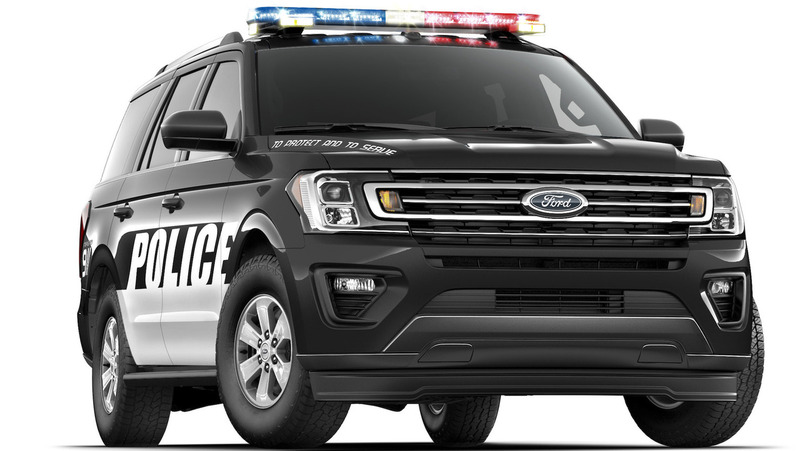 The two new additions to Ford’s already impressive police fleet will accent the Explorer Interceptor Utility and Taurus Interceptor models. 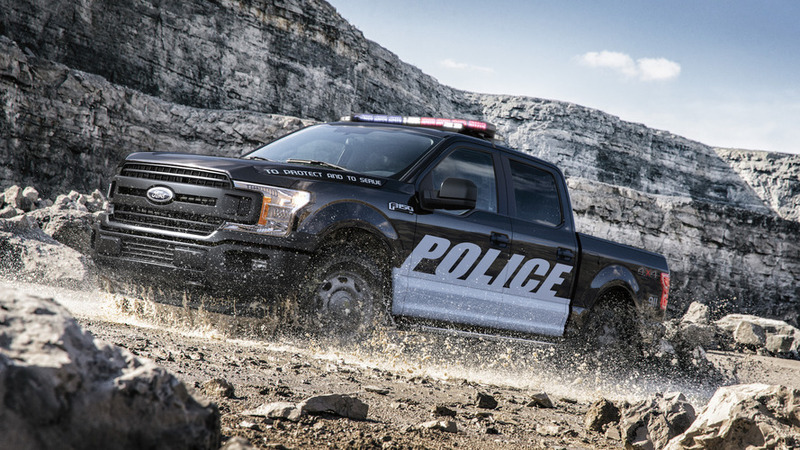 Ford Police Brand Marketing Manager, Stephen Tyler, said that "some agencies need to haul five people with higher equipment-carrying capacity, or off-road capabilities are required… that’s where the F-150 SSV and Expedition SSV come in." If Ford isn’t your departments automaker of choice, American police can always opt for Chevy Caprice, Tahoe, or Dodge Charger cruisers, all of which make our list of 7 fastest police cars of 2017. Too bad you won’t be able to catch criminals in a Lamborghini Huracan like Italian police. They might be the only new vehicles sold in the United States with high-strength aluminum-alloy bodies, vinyl seats and 10-speed column-mounted shifters – just the way their customers want them. For its law enforcement, government and fleet customers, Ford is unveiling its new 2018 F-150 Special Service Vehicle and all-new 2018 Expedition Special Service Vehicle designed to meet their very specific needs. Standard 40/20/40 seats are replaced with 40/blank/40 seats, with the center section deleted to create more space for customization. Because law enforcement, government and fleet work can be messy, a vinyl bench in place of the rear seat aids in quick cleanup, while easy-to-clean vinyl flooring replaces carpeting. F-150 SSV provides a selection of configurations so fleets can pick what best suits their needs. Available in XL trim for F-150 SuperCrew or SuperCab configuration, customers can opt for either a 4x4 or 4x2 drivetrain. Whether equipped with the V8 or high-torque EcoBoost, power is not a problem for customers choosing either of these Special Service Vehicles.